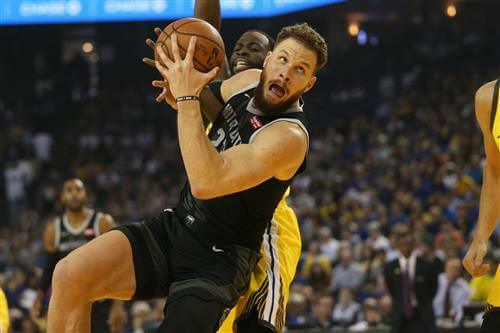 Detroit Pistons star Blake Griffin will likely miss the entire first-round series against the Milwaukee Bucks because of a left knee injury, sources told Yahoo Sports. Griffin has battled the injury for the past several weeks, getting pulled from the Pistons' second-to-last game against Memphis and missing the season finale against New York, games the Pistons needed to win — and did — to qualify for the last playoff spot. Without Griffin, the Pistons were no match for the top-seeded Bucks in Game 1 on Sunday night, losing 121-86 at Fiserv Forum. After initially missing three games with the sprained knee, Griffin returned April 5 against Oklahoma City to score 45 points, but the knee swelled again and limited his effectiveness two nights later against Charlotte. The Pistons are concerned that could happen in the playoff series against the Bucks, even with the possibility of Griffin having 10 days off heading into Game 3 on Wednesday at Little Caesars Arena.